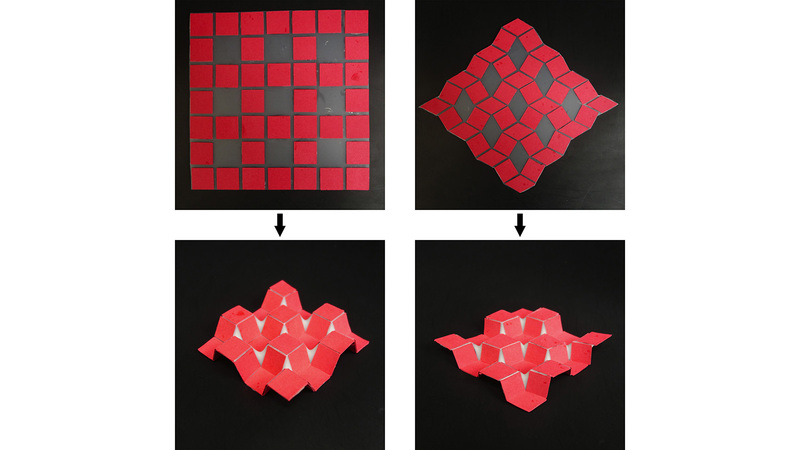 The two-dimensional shapes shown at the top of the image fold themselves into the three-dimensional structures shown on the bottom. Wow! Awesome and creative work. Go Pack!